Dees lives for the arts, she is a world citizen, a connector. International, Interdisciplinary and Innovative are key elements in her work. 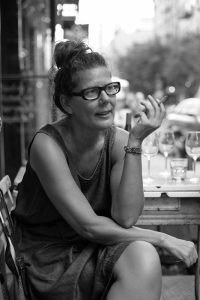 She founded her production company in 1998 and has worked as an independent producer, curator and writer in all art disciplines ever since. Dees works with numerous artists and art-organizations internationally; programming and scouting talent for venues and festivals as well as advising on projects, exchanges and collaborations. Next to her own company she is the co-founder (with Philip Powel) of John106 (2003).